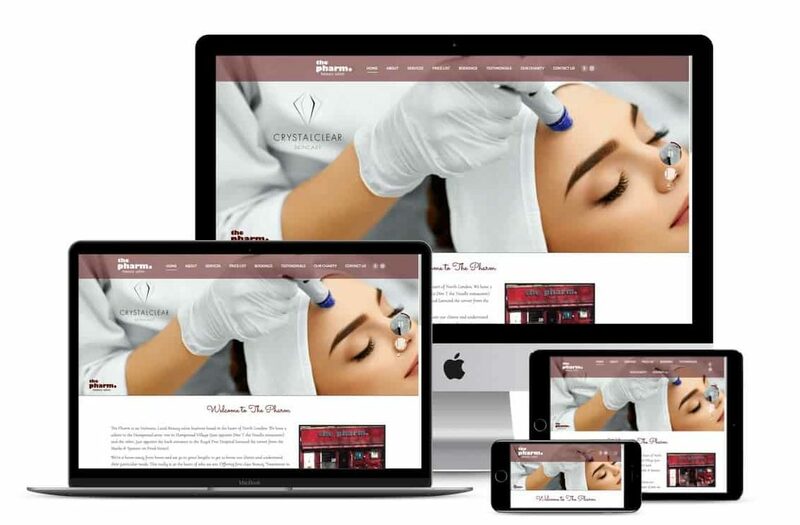 The Pharm Beauty Salon, situated in London, had their previous website hosted by one.com for some years but it had got left behind and no longer worked well on mobiles or tablets – displaying a desktop version on a small screen. We created a new site working with Solveig to create something that reflected the brand and worked fluidly across all devices. We transferred the Domain and Email over to our UK Cloud Servers, with no downtime or loss of emails. We are now working on an ongoing basis to help keep the site up-to-date, adding new services and offers and working on SEO and search ranking. Need your site updated? No Development Fees. Our Subscription Plans are all inclusive with no hidden extras and we are always here to keep your site right up to date. We include any content writing, artwork, hosting on our cloud SSL secure server and ongoing optimisation for performance and Search Engine Optimisation. If you would like to discuss your existing site or a new site contact us or call 0116 2160293.